AVONDALE, La. (AP) - Kevin Kisner had another great day at TPC Louisiana, rolling in putts seemingly from everywhere. 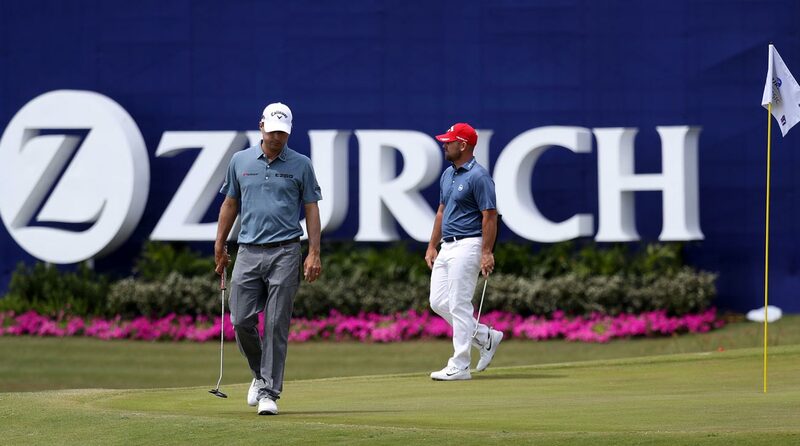 Teammate Scott Brown wasn't having as much success, but a clutch birdie on the closing hole gave the duo a one-shot lead heading into the final round of the Zurich Classic. "You had to put it up today, because tomorrow it's hard to shoot a low one going alternate shot," Piercy said. "So to get within - we were just talking - hopefully within three or four of the lead, you know, 4- or 5-under is probably doable in alternate shot depending on the weather, the wind."